Hold at least a level 1 open water certification. 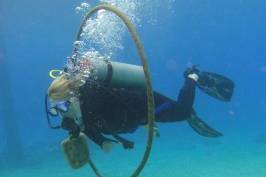 Specialities dives can be used alone, or they can be done through the level 2 advanced diver. Specialities done through the level 2 advanced course: The level 2 is a package of 5 specialities, one dive per speciality. Price $395 ($79 per dive) all included (including all equipment), and the minimum age is 12. The deep diver and navigation dive have to be part of the course, but the diver can choose the 3 other specialities among the list below. 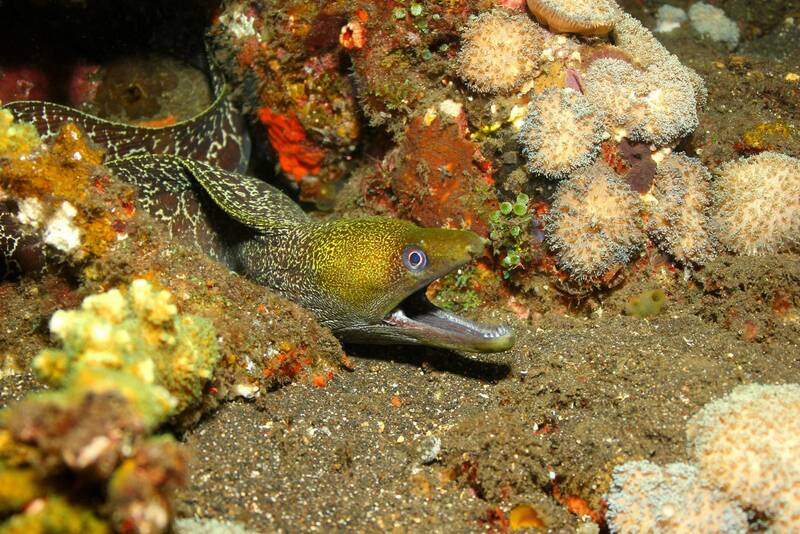 The specialities used alone, independently: They are usually a 2 days course, and include more dives. Minimum age and price depends on the speciality itself. They can also be a credit toward the advanced course if the diver decides later to continue his dive education (5 specialities to obtain the advanced course). 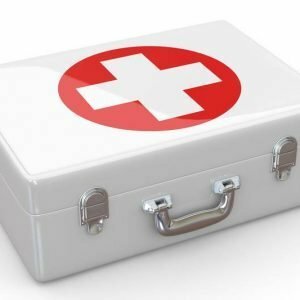 You can go to the chosen speciality for more information. Perth Ocean offers a large panel of 12 specialities. Note: Only 8 can be done either independently or through the level 2 advanced course. The 4 last specialities can only be done through the advanced course. Some of the most interesting dive sites are deeper than 18 metres (ex a shipwreck lying on a 30 or 40 metres bottom…), which you can only explore with a deep diver certification. This speciality allows you to go down to 30 metres if you hold a level 1 open water certification, and 40 metres deep if you are at least level 2. You will learn to plan your dive and master your buoyancy at this depths with an appropriate equipment, be familiarized with safety procedures, manage you air and experience your fist nitrogen narcosis. It is a 2 days course, including a theory component, 2 shallow dives from the beach and 2 deep boat dives. You need to be at least 15 year old. The deep diver speciality can be used alone (2 days training and 4 dives), or trough the level 2 advanced course (one dive). Underwater photography is one of the most popular diving specialty, and with so many underwater cameras to choose from, it has become easier and more fun than ever to capture images of your underwater scuba adventures. The Digital Underwater Photographer course gets you going quickly, whether you use a point-and-shoot camera or a sophisticated dSLR like the pros. You will learn with an expert and professional underwater photographer instructor how to choose the right underwater camera system for you, the method for getting great shots, principles for good composition of underwater images and practical technics to take great photos with your digital camera. 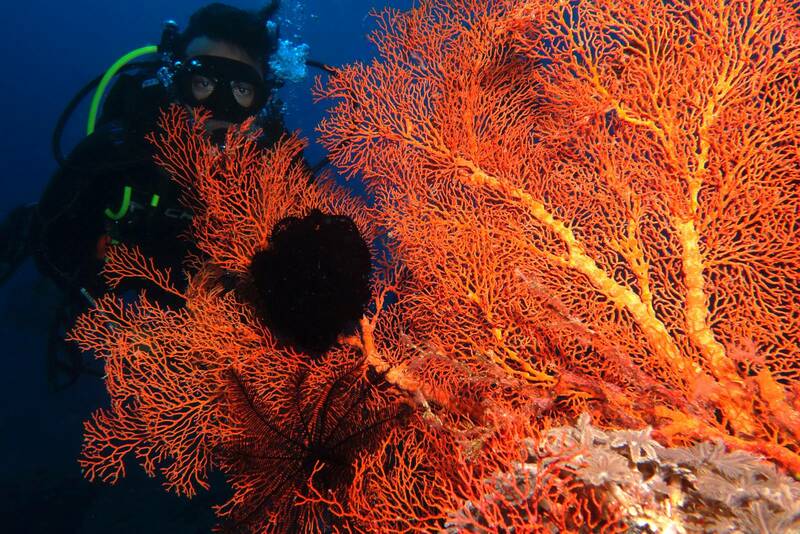 The Photography speciality is a 2 days course including a theory component and 2 Ocean dives. You can enrol from 10 years old. Note: The prices listed above includes all equipment except the camera. You can rent a compact Canon IXUS from Perth Ocean for an additional cost of $40. The digital photography speciality can be used alone (2 days training and 2 dives), or trough the level 2 advanced course (one dive). Video is the best way to share the sights, sounds, motion and dynamics of the underwater world. If you want to get the best clips and also learn to edit your scuba diving stories to share with friends, then the Underwater Videographer Specialty course is for you. Learn to create underwater videos that are interesting, entertaining and worth watching again and again. 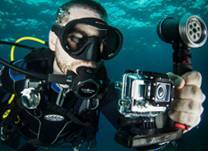 Your Instructor, expert on videography, will explain how to select, maintain and care for your underwater video equipment, whether it’s a housed unit with external lights, or your underwater camera that also shoots video. You’ll cover fundamentals such as exposure, story line and sequencing. Post dive, you’ll learn about the editing process and how to produce a video that truly captures your scuba adventures. 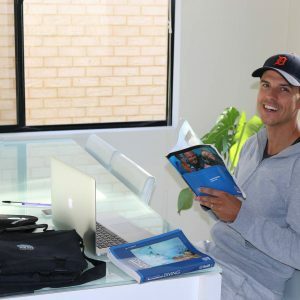 The Videographer Specialty is a 2 days course including a theory component and 2 Ocean dives. Note: The prices listed above includes all equipment except the video camera. You can rent a GoPro or equivalent camera from Perth Ocean for an additional cost of $40. The underwater videographer specialty can be used alone (2 days training and 3 dives), or through the level 2 advanced course (one dive). During three night dives, you’ll practice light handling and communication technics, entering, exiting and navigating in the dark, and Identifying how plants and animals differ or change behavior at night, and be reminded how to navigate with a compass. Our courses are held in the Swan river, a particularly fascinating site to explore at night. You will have the chance (according to your confidence and buoyancy) to catch the delicious blue swimmer crab and prawns with a net; Western Australia is one of the only state in the world that allows fishing while scuba diving, so let’s not miss the opportunity! 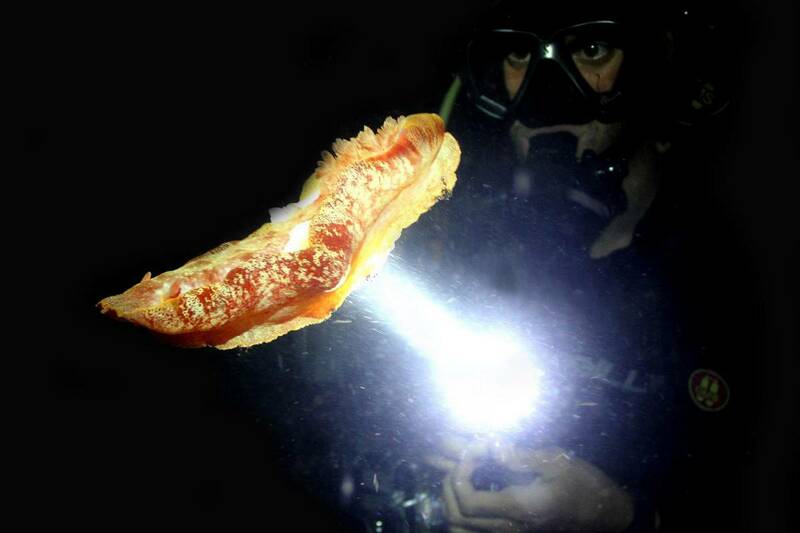 The night specialty is a 2 days course including a theory component and 2 Ocean dives. The diver needs to be at last 12 year old. The night specialty can be used alone (2 days training and 2 dives), or through the level 2 advanced course (one dive). The Enriched Air Diver course is a very popular specialty. Why? Because scuba diving with enriched air nitrox gives you more no decompression time, especially on repetitive dives. 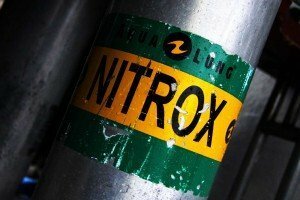 What is exactly Enriched air, also called nitrox? It is to increase the percentage of Oxygen from 22% to 40 % (normally 21%) in the air you are breathing from your tank. This change will therefore decrease the percentage of Nitrogen, responsible for all calculations of no decompression times. You’ll learn why diving with air that has higher oxygen and lower nitrogen content gives you more bottom time, along with enriched air equipment considerations. During a practical session, and two optional scuba dives, you’ll discuss managing oxygen exposure, practice analysing oxygen content in your scuba tank, and set your dive computer for diving with enriched air nitrox. Enriched Air Nitrox specialty is a one day course including theory, all equipment for preparation dive, and 2 dives on option. Be at last 15 year old. The enriched air nitrox specialty can only be used alone (not through the advanced course). Want to stay warm and want to extend your scuba diving season? Then dive dry! There is incredible diving in the world’s cooler regions and in some areas, conditions are even better in colder months. Becoming a dry suit diver allows you to expand your boundaries and dive more places, more often. The first thing you’ll discover is which dry suit style and accompanying undergarments are right for you and the diving you’ll do. Then you’ll learn how to take care of your dry suit. During two dives, in addition to a confined water dive, you’ll practice putting on and taking off your dry suit with minimal assistance, mastering buoyancy control using your dry suit, dive safety procedures when using a dry suit. 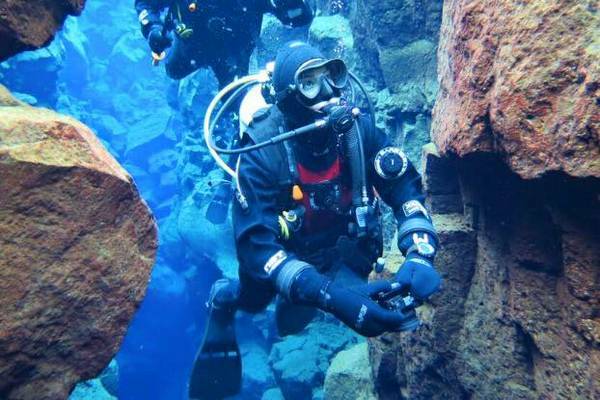 The dry suit specialty includes a theory component and 2 Ocean dives. The diver needs to be at last 12 year old. The dry suit diver specialty can be used alone (2 dives), or through the level 2 advanced course (1 dive). The AWARE coral ceef conservation specialty course helps you to appreciate the complexity of these habitats and teaches you how you can help to conserve these vital systems. The AWARE coral reef conservation specialty can be used alone, or through the advanced course (one dive). Excellent buoyancy control is what defines skilled scuba divers. You’ve seen them underwater: They glide effortlessly, use less air and ascend, descend or hover almost as if by thought. They more easily observe aquatic life without disturbing their surroundings. You can achieve this too. The Peak Performance Buoyancy Specialty course improves the buoyancy skills you learned as a new diver and elevates them to the next level. 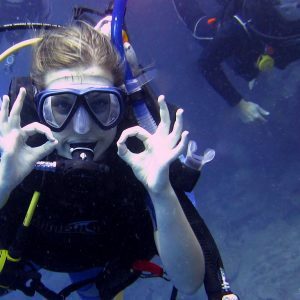 During two scuba dives, you’ll learn how to determine the exact weight you need, so you’re not too light or too heavy, trim your weight system and scuba gear so you’re perfectly balanced in the water, streamline to save energy, use air more efficiently, move more smoothly through the water, hover effortlessly in any position. The course includes a theory component and 2 dives. Can participate from 12 year old. The peak performance buoyancy specialty can be used alone, or through the level 2 advanced course (one dive). Be the scuba diver everyone wants to follow because you know where you are and where you’re going. The Underwater Navigator course fine-tunes your observation skills and teaches you to more accurately use your compass underwater. You’ll learn the tools of the trade, including navigation using natural clues and by following compass headings, and methods to estimate distance underwater. The underwater navigator specialty can only be done through the level 2 advanced course (one dive). 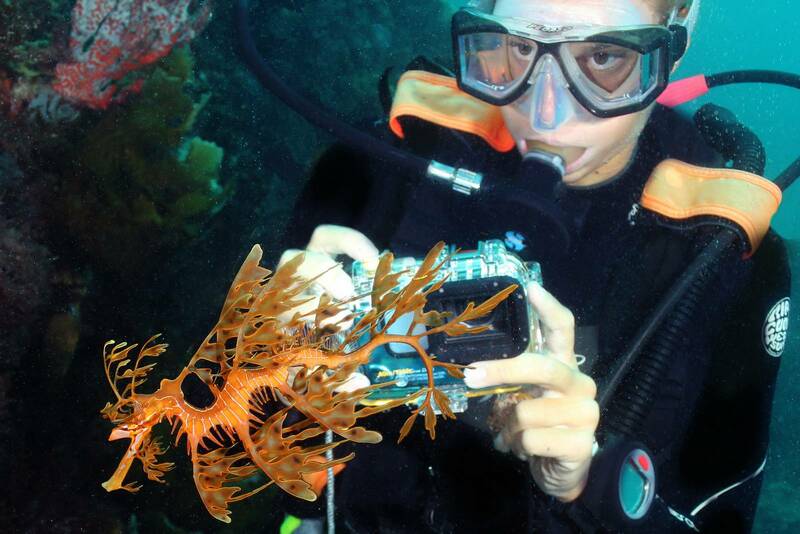 Take the Underwater Naturalist Specialty course and you’ll see new things, even on the most familiar scuba diving sites. Why? Because when know more about symbioses, underwater ecology, and aquatic plant and animal habitats, you notice behaviors and see creatures you may have previously missed. Learn more about the local ecosystem. Through class discussions you’ll learn the key differences between the terrestrial and aquatic worlds, major aquatic life groupings, responsible interactions with aquatic life, and you will be able to put a name on what you see while diving. 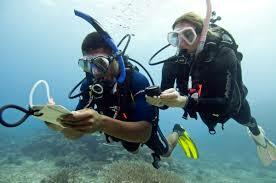 The underwater naturalist specialty can only be done through the level 2 advanced course (one dive). Ships, airplanes and even cars are fascinating to explore and usually teem with aquatic life, and some have a rich historical and cultural significance. 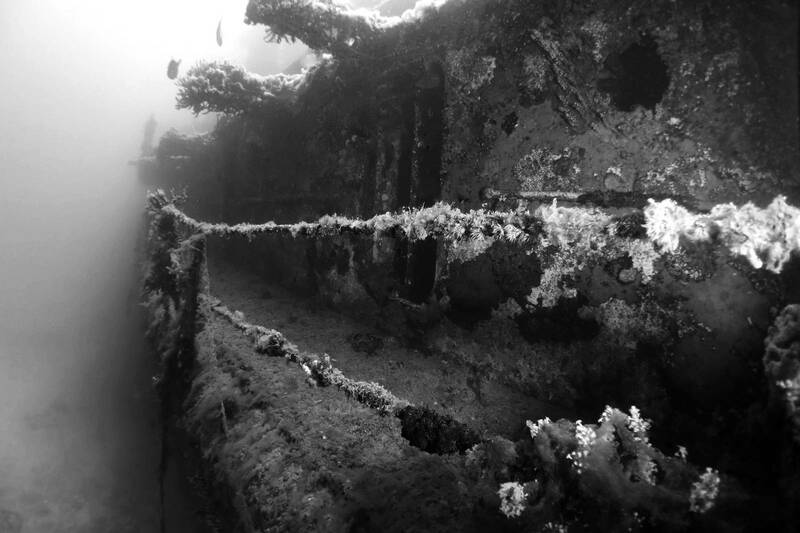 Each wreck dive offers a chance for discovery, potentially unlocking a mystery or spying something others have missed. 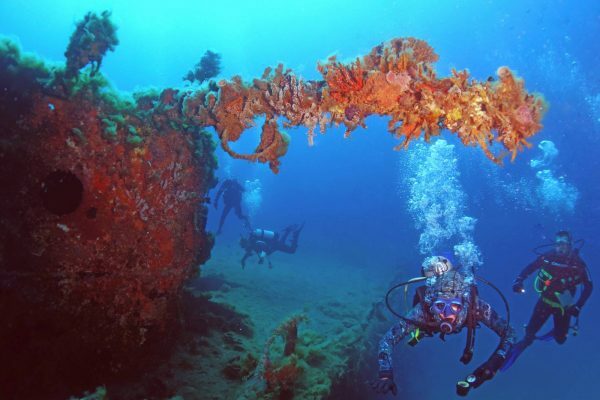 The wreck specialty course is popular because it offers rewarding adventures while observing responsible wreck diving practices. Your training starts by reviewing guidelines for researching and respecting wrecks. During your dive you’ll learn safety considerations for navigating and exploring wrecks, techniques to avoid kicking up silt or disturbing the wreck and its inhabitants, and identify potential hazard. The wreck specialty can only be done through the level 2 advanced course (one dive). 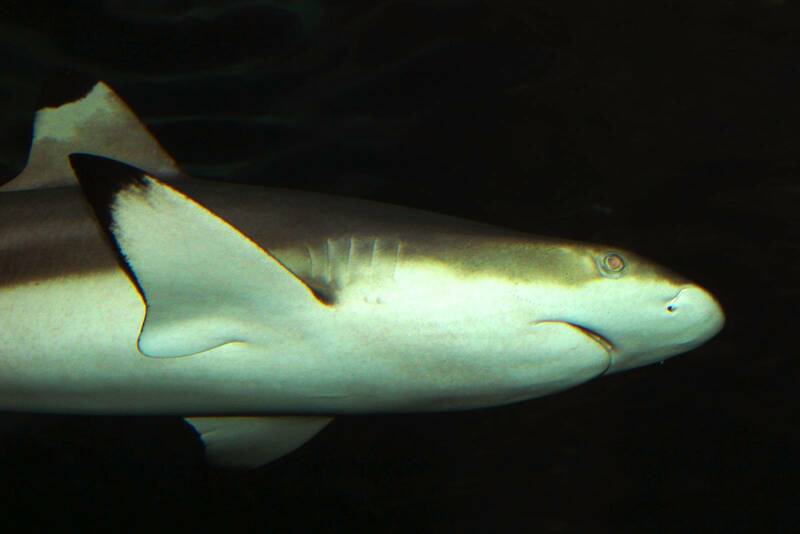 AWARE shark conservation specialty will teach you to identify potential surface and underwater hazards to sharks in the dive location, demonstrate appropriate and responsible diving practices, and behaviors to minimize negative environmental effects. If we have the chance to encounter sharks during the dive we will observe natural shark behavior, identify species and non-natural injuries they can have.